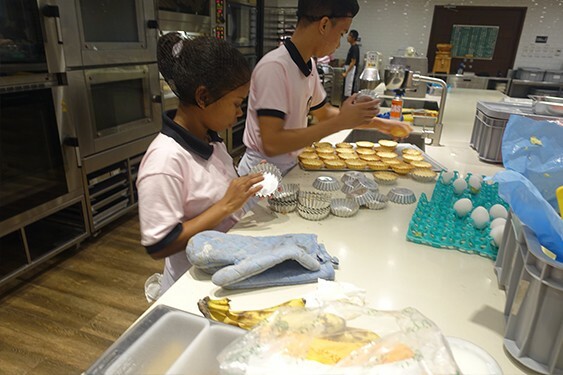 As part of the Foundation’s effort to keep its scholars updated with modern techniques in baking and preparing classic recipes, a series of baking activities with La Rose Noire Hong Kong’s Executive Chef, Chef Terrence Chan was included in their special baking activities. The first session of the series was held last January 17, 2019 at the Training Center. Recipes demonstrated were Lemon Meringue Tart and Naughty Boy Cookies.